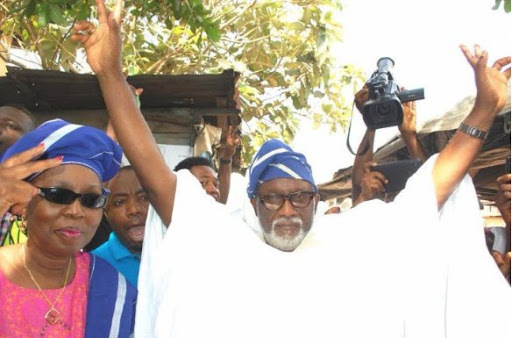 Ondo State now has a new governor, as Rotimi Akeredolu, a senior advocate of Nigeria, on Friday took the oath of office as the sixth democratically-elected governor of the state. With this victory, the governor-elect of Ondo state and candidate of the All Progressives Congress (APC), Mr Akeredolu, now takes on the responsibility of bringing everyone on board, to continue from where the PDP governor, Dr, Olusegun Mimiko stopped. In the meantime, the governor-elect says his victory is a clear demonstration of the will of the people of Ondo state. He believes that “the people have spoken and have indeed spoken well”, as he would go straight into work, to bring about improvement in all aspects of the state’s economy. According to him, “there has been obvious neglect of people in the rural areas, and his government will focus more on grass-root development. This is the second time he will be contesting as governor or Ondo state, having lost the first time to governor Olusegun Mimiko of the People’s Democratic Party (PDP). 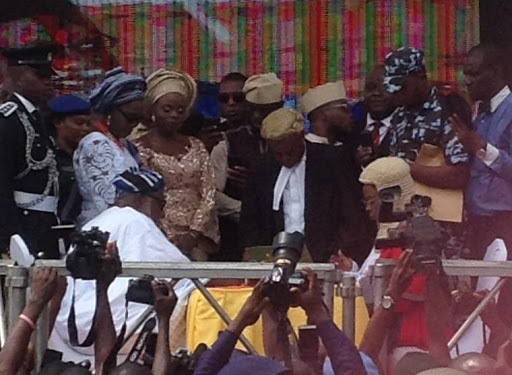 Leaders of the All Progressives Congress, including Bola Tinubu and Bisi Akande attended the event held in Akure, the state capital. Mr. Tinubu’s attendance signaled a truce between him and the new governor after the controversy that trailed November’s gubernatorial elections.